You may have seen reports in the media about possible plans to eliminate funding for the National Endowment for the Humanities (NEH) and National Endowment for the Arts (NEA). These types of proposals are not new, but considering past history and current uncertainty on the new administration’s position, they need to be taken seriously. While Humanities Nebraska’s revenue sources include private support, the Nebraska Cultural Endowment, and state funding, the loss of federal funding from the NEH would greatly harm our ability to carry out our work. 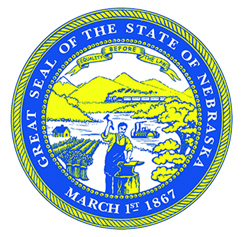 I hope that you will join your fellow Nebraskans and concerned citizens throughout the nation in expressing your support for funding the humanities. State humanities councils like Humanities Nebraska play a key role in our local communities through programs that promote literacy and other employment skills, boost local economies and our quality of life, and explore history and culture. State humanities councils reach people of all ages and walks of life with programs in libraries, schools, museums, senior centers, cultural centers, and many other places. State humanities councils are independent nonprofits governed by local boards who determine appropriate programming in each state. State humanities councils receive essential funding from the NEH, which enables them to reach rural areas, urban centers, and everything in between. Total FY 2016 funding for NEH was $148 million. This is only 0.003% of federal spending, but makes a big difference in the cultural health of our nation. Please thank your representatives for their service and support for the humanities! Stay connected with Humanities Nebraska and watch for future messages about this issue in the coming weeks. Please like us on social media (Facebook & Twitter), and watch for more communication from us in the coming weeks. Forward this message on to friends and fellow humanities supporters! Invite them to sign up for our email list and/or follow us on social media. Nebraska and other state humanities councils have been vigorously supported across the political spectrum because people recognize that a strong, vibrant democracy requires informed, engaged citizens. The humanities are not a luxury for any one segment of society, they are fundamental to the social fabric of our nation and our communities. Thank you for your help!